Married father of six and grandfather of nine, and the Chancellor of SMUG - Social Media University, Global. 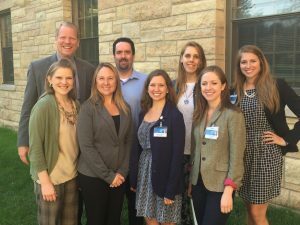 By day I'm the Director of the Mayo Clinic Social Media Network. Whatever I say here is my personal opinion, and doesn't reflect the positions of my employer. What’s the Half-Life of a Tweet? In emphasizing the ephemeral nature of Twitter when consulting with our Mayo Clinic physicians, I have often said the half-life of a tweet is about 30 minutes. I put it in the lingo of radioactive decay because it is something that scientists naturally get. And while I didn’t have any formal data to justify that half-life estimate, it seemed about right. Because I didn’t know of any published data, and to see whether I was in the right ballpark, I decided to start a test on Friday. First, to define the term Half-Life, I take it to mean the point at which half of the people who will ever see a given tweet will see it. So in other words, if a tweet will eventually be seen by 200 people before heading into the abyss, the half-life would be the time it takes for the first 100 people to see it. In the first 24 hours the tweet had 593 impressions. On the second day it got only 55, bringing the total to 648. 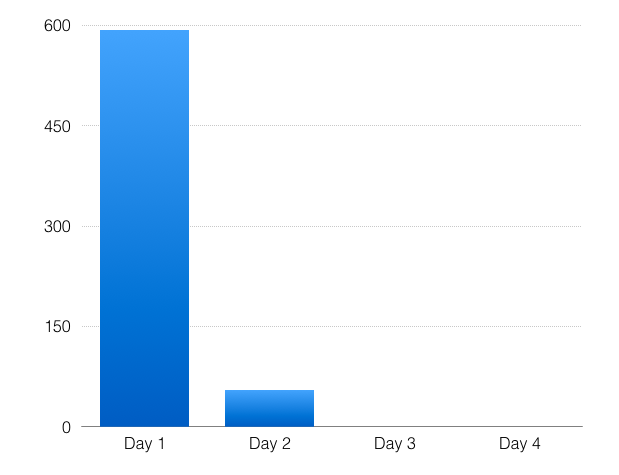 As of this writing, the total is up to 659, so it’s averaging a little over one impression per hour so far on Day 3. This tweet is on a trajectory to reach perhaps 680 total impressions, which would make the half-way point 340. When did that happen? At 25 minutes it was at 332, and at 30 minutes it had 350 impressions. So, it looks like my 30-minute estimate might at least be in the right neighborhood. This is just the analysis for one tweet, and not necessarily a typical one. Curves for those that get more retweets would have a longer climb before flattening out. It was kind of a hassle to set my watch alarm to remind me to grab a screen shot every five minutes, though. 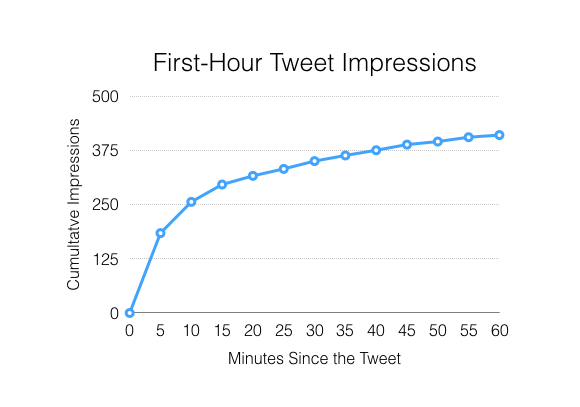 But if anyone knows a way to automate capturing impressions data for the first hour from a larger sample of tweets, I’d be interested in collaborating with you. Leave a comment or drop me a note. 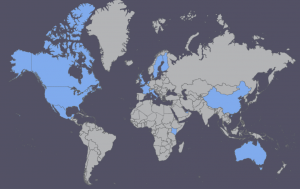 Author Lee AasePosted on January 23, 2017 January 22, 2017 Categories TwitterTags Twitter Half-LifeLeave a comment on What’s the Half-Life of a Tweet? If you’ve ever had to participate in a telephone conference call on your mobile phone, especially while on the go, you may have experienced the frustration of entering security codes to gain access to the call. I’m probably on at least a dozen of these calls each week, and typically the calendar invitation has an 800 number to call, along with a notation that after dialing that number the participants need to enter a 6-9 digit access code. Clicking to dial the phone number on my calendar app is simple enough, but then I find myself flipping back and forth between the phone and the calendar app to remember and enter the access code before time expires. I’ve been unsuccessful in this more than once, delaying the start of meetings, which of course wastes the time of everyone on the call as we’re waiting to get started. I’m pretty sure I’m not alone in this problem. The comma between the phone number and the access code is the key. With one click on a mobile phone, it enables all of the non-host participants to join the call without having to fumble for the access code. Can we all adopt this convention, please? Three long journeys and two very short ones are among the blessings for which I give thanks as I reflect on 2016 and look ahead to the new year. Let’s start with the short trips first: a pair of 40-yard strolls with my daughters Ruthie (Aug. 12) and Rebekah (Oct. 15) after which their names changed. 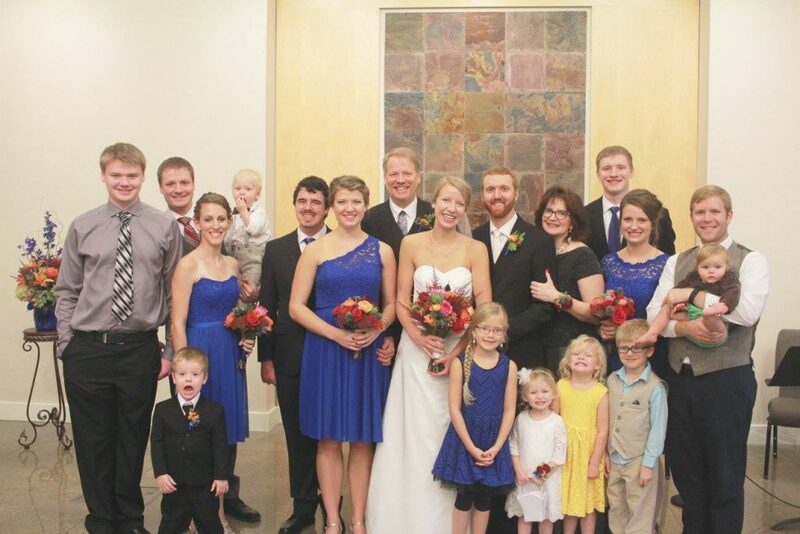 Each of their weddings doubled as a fantastic family reunion, and Lisa and I are so thankful that we now have four of our six children married, and that they’ve married well. We’re delighted to welcome Trevin Hoot and Andrew Gatzemeyer to our extended family. Ruthie and Trevin’s wedding Aug. 12 in St. Paul, Minn.
Rebekah and Andrew’s wedding Oct. 15 in Rochester, Minn. This was the year for our married kids to spend Christmas proper with the in-laws; we hope to get the whole gang together next year. 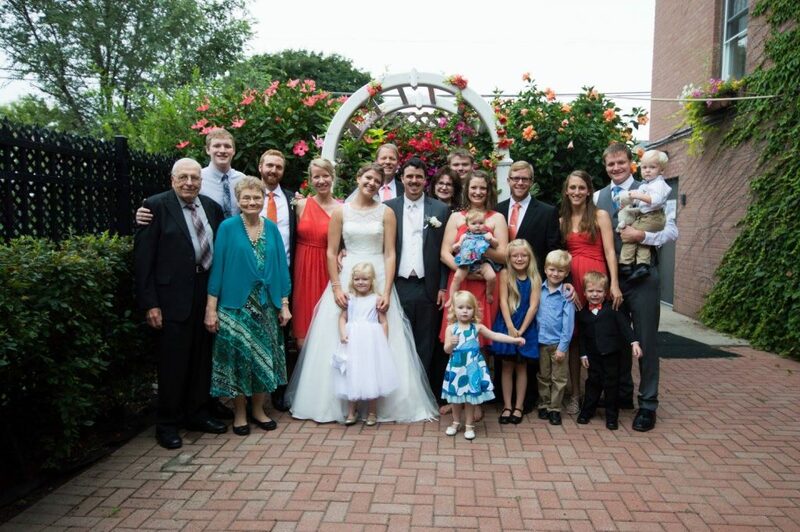 Our oldest daughter Rachel and her husband Kyle Borg will celebrate their 10th anniversary on Friday. Kyle is the pastor at Winchester Presbyterian Church in northeast Kansas, and it was great to have him officiate at Ruthie and Trevin’s wedding. While the Borgs couldn’t join our early Christmas celebration on Dec. 17, we will get some extended time with the kids in mid-January. Rachel and Kyle are going on an anniversary cruise, and on the way to Minneapolis for the flight to Houston they’ll drop off Evelyn, Judah, Aletta, Mabel and Sylvia to stay for a week with us. Our oldest son, Jacob, still lives with his wife Alexi and sons Graham and Isaac in New Berlin, just west of Milwaukee. Jacob is a physical therapist at Froedert Hospital, and he and Alexi are expecting our eighth grandchild in May. 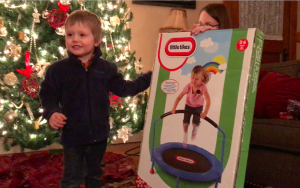 While we missed having the Borg grandchildren for Christmas, it meant that Graham and Isaac got more attention. The matrimonial news involving my younger daughters had some broader ramifications as well. Rebekah and Ruthie had (with only brief exceptions) lived and worked together for nearly a quarter century, and both were employed as nurses at Bethesda Hospital in St. Paul. After Ruthie’s wedding in August, she and Trevin moved to St. Louis, where she’s working at DePaul Hospital and he’s in his final year at Covenant Theological Seminary. And last Tuesday (see selfie at right) I got to have lunch with Rebekah in Rochester when she came to interview for a nursing job at Mayo Clinic. On Thursday afternoon, we got the excited call from Bekah that she had been offered and had accepted the position, and that she’ll be starting in February. She and Andrew are hoping to move to Austin, so he’s applying for positions in Austin and Rochester, too. The good news is that with her work schedule (five 12-hour shifts every two weeks) they don’t need to be in a hurry to move; she can commute from St. Paul. Our son Joe is in his last year at Minnesota State University in Mankato and is working at Buffalo Wild Wings as he heads into his final semester. Because he opted not to play basketball in his senior year, Joe was able to join Dr. Farris Timimi, our medical director for the Mayo Clinic Social Media Network, and me on our November trip to Australia and New Zealand. One of Joe’s roommates, Jake Weierke, scraped together the plane fare so he could join us. I had Delta SKYMILES to pay for most of Joe’s ticket. None of us will forget the experience. We saw the fairy penguins come ashore at dusk at Phillip Island, and during our 2nd International Mayo Clinic Healthcare & Social Media Summit the “lads” had a few days to explore Melbourne. 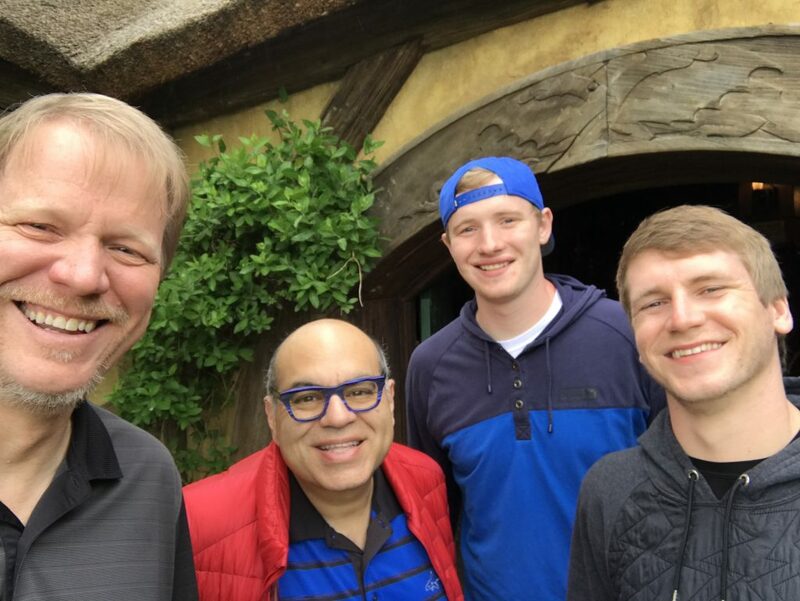 Then it was on to New Zealand, where Dr. David Grayson was our most gracious host, arranging for us to visit Hobbiton, where the Lord of the Rings movies were filmed. 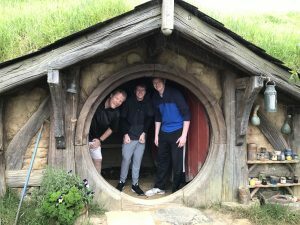 We got to walk throughout The Shire and step inside a hobbit hole, and wrapped it all up with a pint of cider at the Green Dragon Inn. With Farris, Joe and his roommate Jake at The Green Dragon Inn. 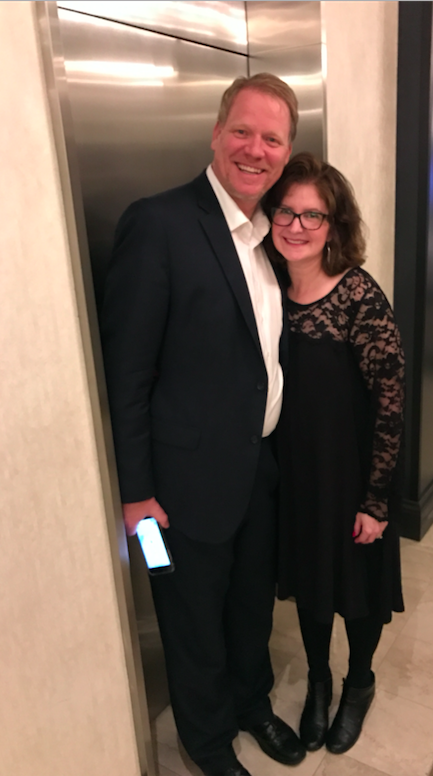 In October, I brought Lisa and our youngest son, John, on a trip to New York City. 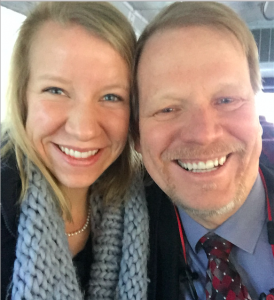 This was John’s time in New York, and while I was attending my meetings he and Lisa explored the city via tour bus. We got tickets to Wicked one night, and on our last day also got on the ferry to the Statue of Liberty. John is a high school senior attending Riverland Community College full-time, so he will graduate high school with his Associate of Arts degree. He also was one of ten young people from southern Minnesota chosen to be teen columnists for the Rochester Post-Bulletin. He’s written about his adult anxiety (confessing that in his heart he’s “a very tall hobbit”) and his love of history. Lisa continues to enjoy her retirement from homeschooling and the flexibility it gives her. In addition to the New York trip, she and I were able to fly to Nashville in July for a family friend’s wedding, and to Houston in November for a wedding reception for Ruthie and Trevin on his home turf. Lord willing, we’ll be visiting London April 28-May 8, and this will be Lisa’s first international flight. If you have activity or sightseeing recommendations, we welcome your help in planning our trip. 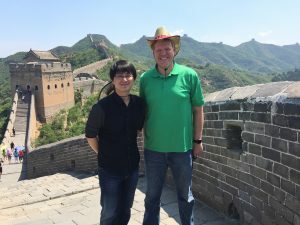 I wrote several posts in June about my trip to China, and reading through them again brings back heartwarming memories of our gracious hosts and the many dedicated physicians and other health care workers we met. 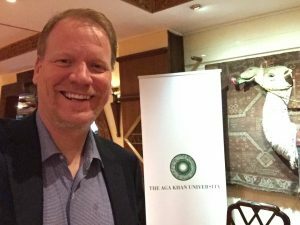 I also was blessed to make my first trip to Africa, when I did a workshop in August for The Aga Khan University in Nairobi, Kenya. I’m continuing to enjoy my work as Communications Director for the Social and Digital Innovation (SDI or “Star Wars”) team at Mayo Clinic, as well as our work with the Mayo Clinic Social Media Network to help our Mayo staff as well as colleagues elsewhere learn to use social media tools strategically in their work. 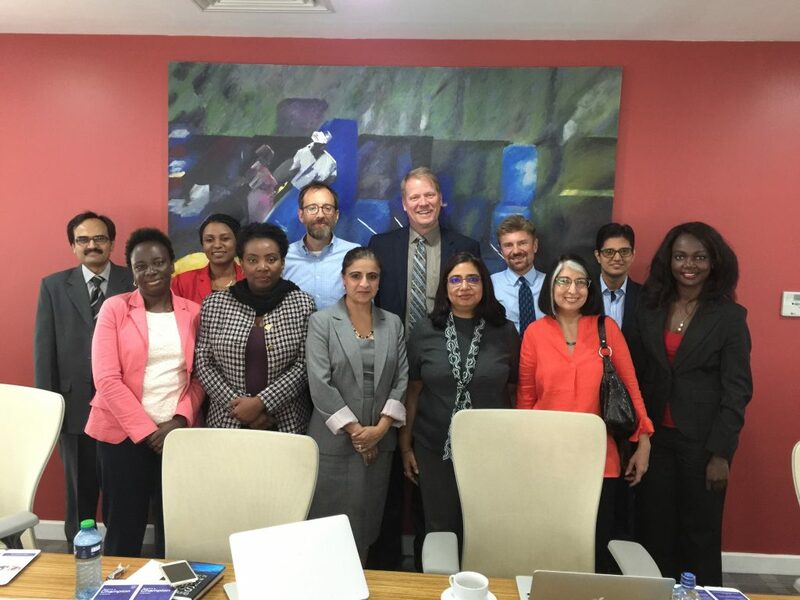 It was great this year to fill several vacancies to bring our full-time team back to full strength, and that we could get those members together in conjunction with our Communications Division retreat in August. I’m also grateful for the part-time supplemental staff members we’ve added, and the volunteer members of our MCSMN External Advisory Board who believe in and contribute to our mission. 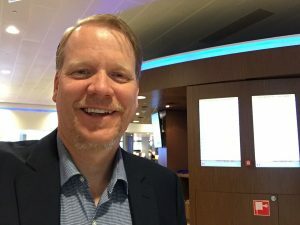 It also led to my picture being on the NASDAQ Jumbotron in Times Square the next day, when our collaborators in the project, Fight Colorectal Cancer, rang the NASDAQ closing bell. 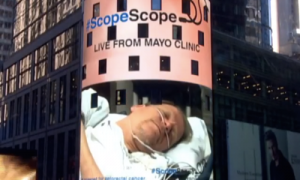 As I said in the TV interview, part of the #ScopeScope inspiration came from one of my high school classmates, who was diagnosed two years ago with stage IV colon cancer. Lisa and I attended the visitation Monday night, and Jim’s funeral was yesterday. If you haven’t been screened, please do it. Colorectal cancer is one of the most preventable cancers; detecting and removing precancerous polyps stops them from turning into cancer. We also lost Lisa’s mom, Arlene Wacholz, in June. Arlene was first diagnosed with malignant melanoma, one of the most deadly and least-treatable cancers, in 1980. That skin cancer recurred twice, and she lived on to have Non-Hodgkins Lymphoma and macular degeneration before finally succumbing to complications of Parkinson’s Disease. 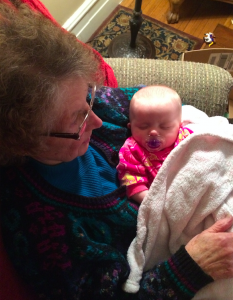 We’re thankful Arlene was able to live more than 35 years beyond her original cancer diagnosis, and that she got to know her 13 grandchildren and even some great-grandchildren. As the sands of 2016 run out, may we all be grateful for the year we’ve had and treasure and make the most of each day we have in the future. Wishing you and yours many blessings in 2017! See the Christmas tag for previous yearly updates in this series. I’m delighted to be in Nashville this afternoon to provide the opening keynote at the Health:Further 2016 Summit. It’s a special treat because it’s also my first face-to-face meeting with Andre Blackman, one of our #MCSMN External Advisory Board members. Andre is organizing the event and invited me to kick it off. If you’re not part of our Mayo Clinic Social Media Network, please check out our free Basic Membership or other options.